Every year we all seek to find an appropriate gift for those special “Pet Lovers”. Lisa Welch Designs has the perfect gift guide for those unique people on your Holiday list. wouldn’t want to wear it everyday. Lisa Welch Designs has a gift guide that will help you find affordable luxury jewelry that represents our love for pets. One of our hottest sellers is the leather bracelet with a Lisa Welch dog or horse themed charm. 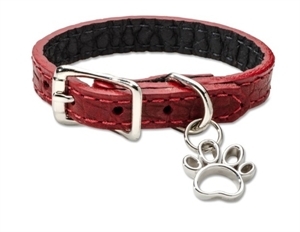 We have a big selection of different italian made leather bracelets in a variety of colors. The palate ranges from Burgundy, Olive, Chocolate to our textured faux fur Cheetah. Any pendant/charm can be attached to the color of your choice. 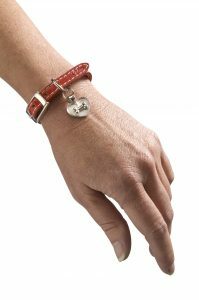 Lisa Welch Designs is featuring for The Holiday Pomegranate Leather Bracelet with the Sterling Silver Open Paw. We have also launched the new “Black Rubber” bracelet. A wonderful everyday bracelet that is chic and durable. A perfect gift for those who are “Rescue Volunteers”. Show Rescue Volunteers that help animals in need, your appreciation with this gift. We think there should be a “National Pet Sitter” day added to the yearly calendar. Appreciating those who we depend on to care for our beloved pets. Show your Pet Sitter how much you care by giving them a piece of Lisa Welch Designs. 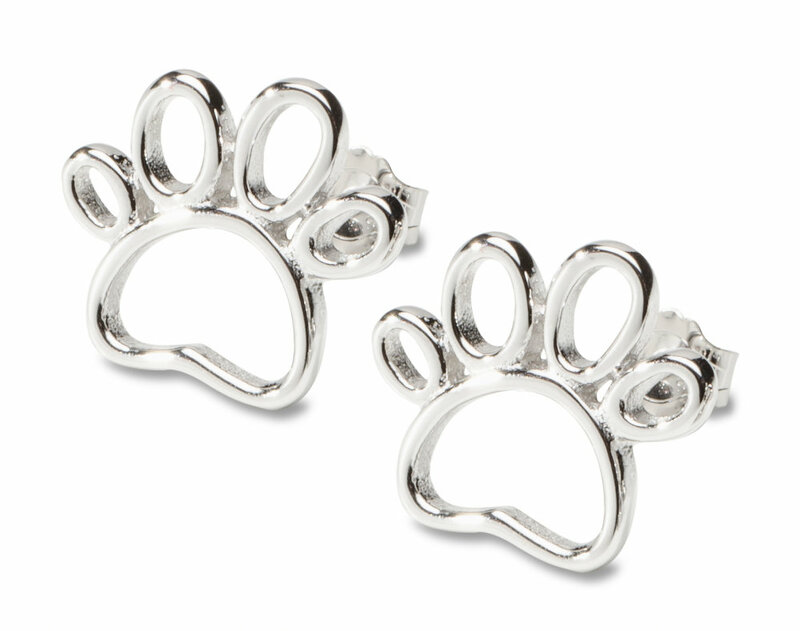 We recommend the classic Open Paw Earrings in sterling silver. Comfortable and great for walking the dog. Customers have begged me for the last nine years to create a Cat design. We did and it is here! The Sterling Silver Cat Pendant. Beautifully crafted in satin and bright finish. 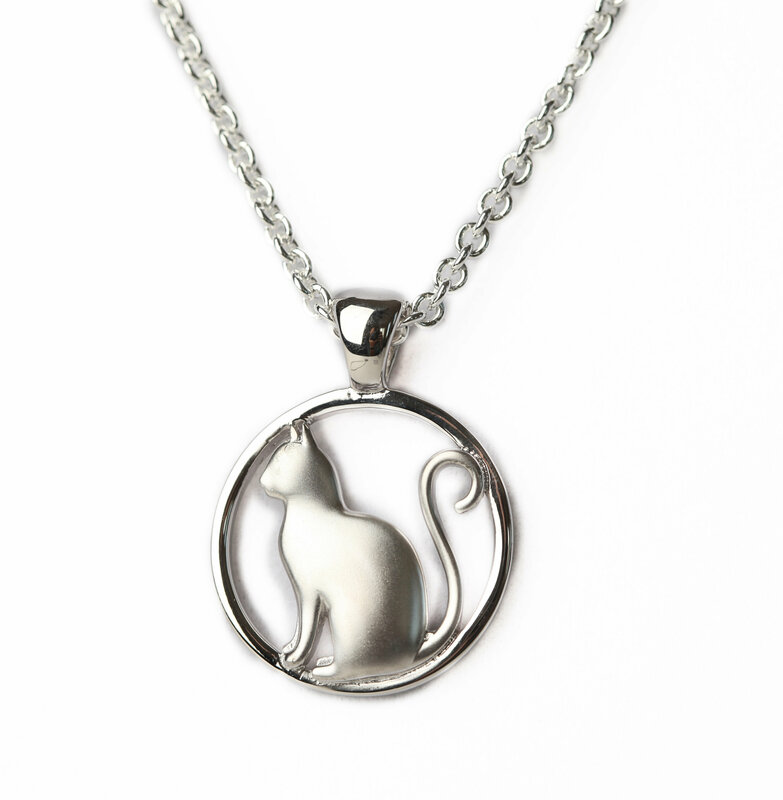 The feline lovers on your list would go Cat Crazy for this wonderful piece. This is included in our Holiday Special Pricing. “Chow Chow Chow”. Everyone knows a cowgirl at heart. 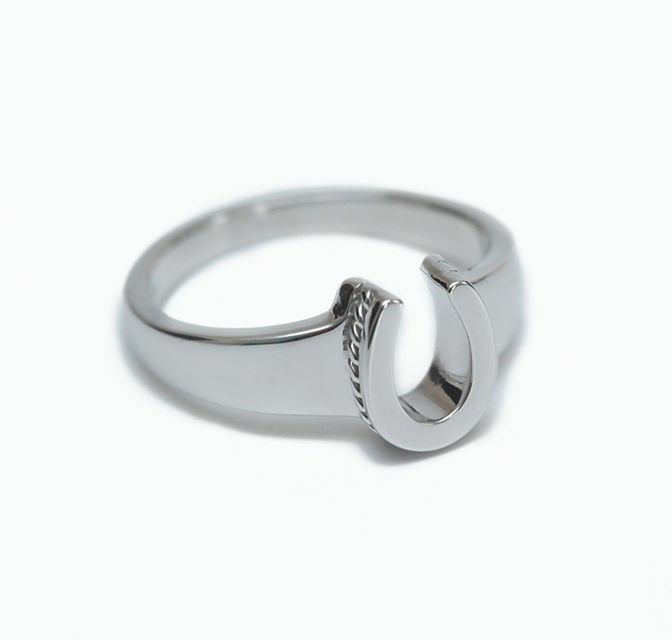 For those equine lovers we have a fantastic Sterling Silver Horse Shoe Ring. It is simplistic in design with a subtle twisted braid around the edge of the horse shoe. Perfect for English or Western riders. We never forget the men that are passionate about their dogs. Men that wear Lisa Welch Designs show their representation of how important their dog is in their life. 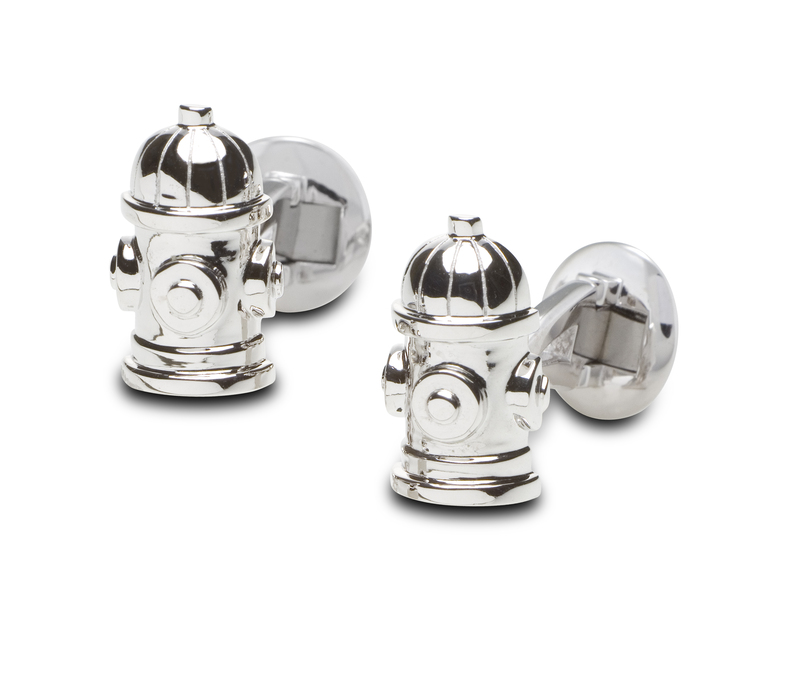 Our humorous and classic Sterling Silver Fire Hydrant Cufflinks are worn by many. These are handmade with sturdy quality in sterling silver. Rhodium is applied to prevent tarnishing. The clever swivel backs make them easy to take on and off. This is a big favorite. 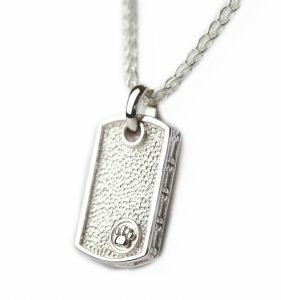 The other great gift for the Dog Dad is the Sterling Silver Dog Tag. Names can be engraved on the back which turns it into a wonderful keepsake piece of jewelry. Vet Techs love Lisa Welch Designs. 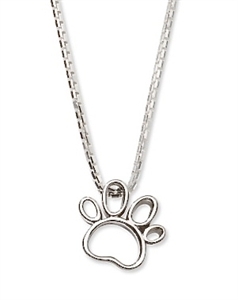 The Open Paw Pendant is perfect for every day “scrub” wear. 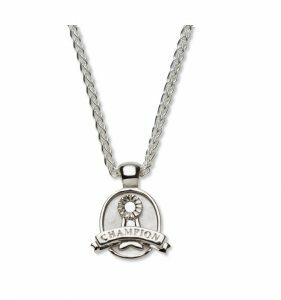 This classic style necklace is sophisticated and casual. Chains sold separately in 16″, 18″ and 20″. 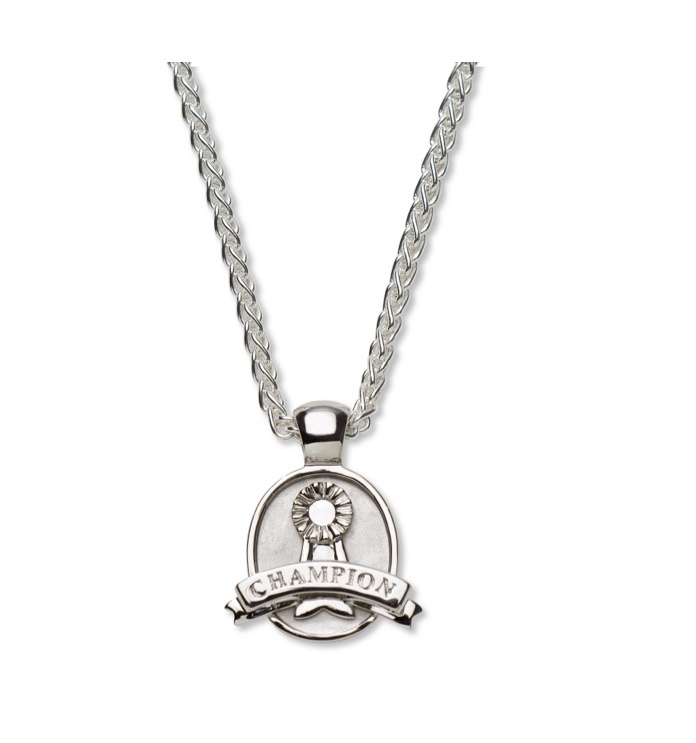 We know that our Dog Show Moms love our Sterling Silver Champion medallion. We celebrate with you, your great success. Finishing the show dog to the “Champion” title is a great accomplishment. This necklace will be worn with pride.